Most of you probably already know that I like to travel and that I've done a lot of it this year. 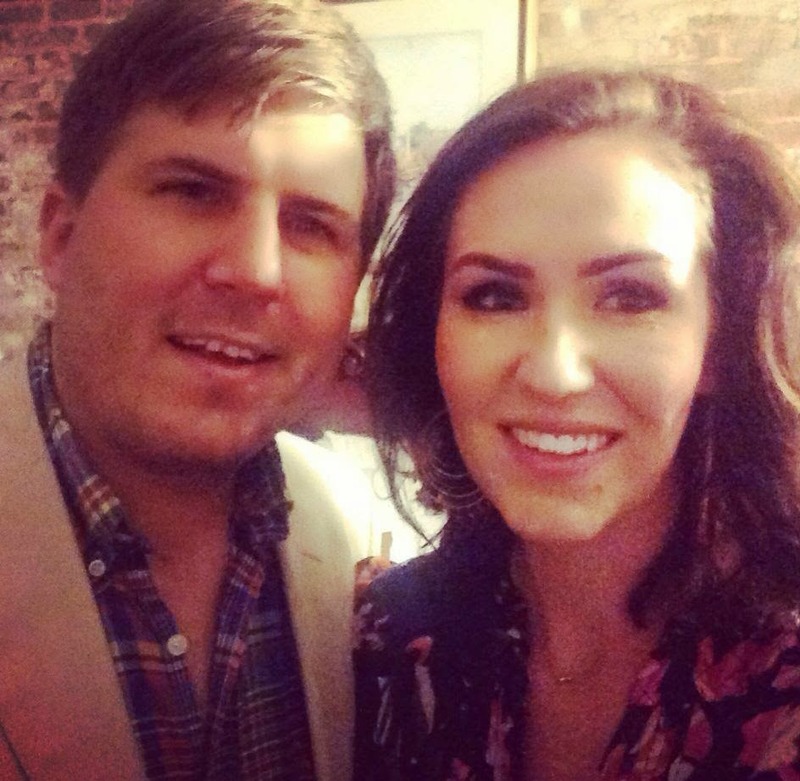 Charley and I just got back from New Orleans last week and we're headed to the beach house for a little sun and fun for his birthday this weekend. I'll be posting later on what we see and do while we're down there! Anyway, I figured I'd do a little review of New Orleans so that if you should so feel inspired, you can take your own little getaway and go to (and avoid!) some of the places we went! We drove down on Friday morning. From our house, we took I-75 to I-65 through Alabama and then jumped on I-10 through Mississippi into Louisiana. 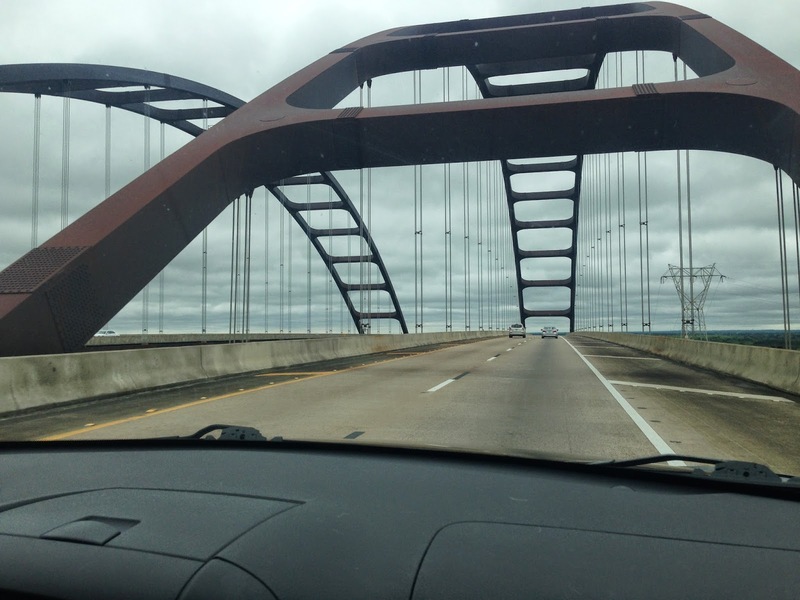 One of my favorite things is the series of bridges over the rivers going through Alabama on I-65 like this one here. > The water comes up to just below the raised highway and the bridges give you the best view of everything. that I found on my bachelorette trip last year. The beignets are amazing and the wait is nowhere near as bad as Cafe Du Monde. 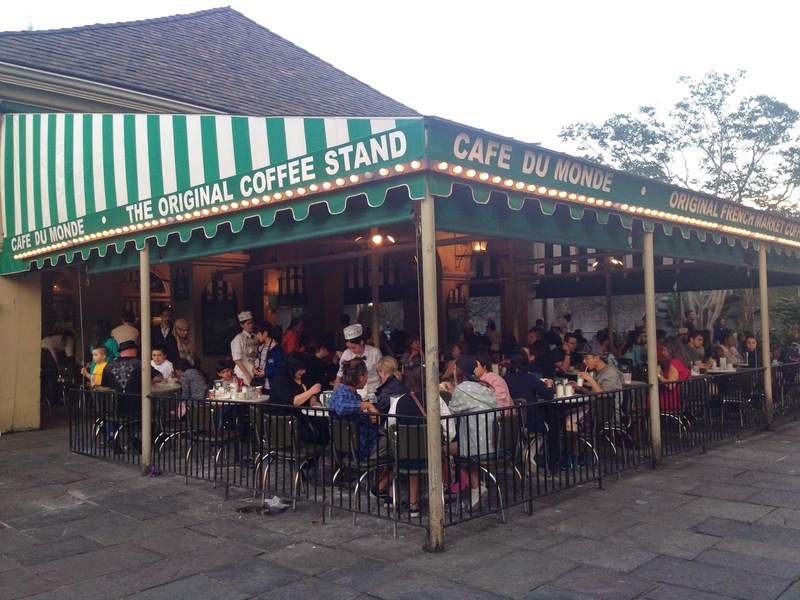 Another great thing about it is that they serve foods outside of just beignets! It's right next to the police station and has the cutest little patio. The surrounding streets are filled with antique and souvenir shops. We stopped into a few of them on our way to Jackson Square. I showed Charley the Pontalba buildings-the two buildings on opposite sides of the square that were built by one of the wealthier women to live in New Orleans. You can see her initials in the wrought iron on the balconies. They're neat but nothing compares to the cathedral. It's so nice seeing Jackson Square just before sunset, makes everything seem so much softer, older. We strolled around the French Quarter for a while and to one of the local hot sauce shops. Got a few for the house including one called Mango Coco Loco. It's a pineapple/mango based hot sauce that goes great on shrimp and other carribbean food that could use a little extra something. By the time we finished walking around, we realized we were going to have to do a speed wardrobe change before our dinner reservations at the Pelican Club. We got there and they took a while to seat us even though the restaurant was mostly empty by 9 and then they forgot us in the back corner they put us in! They made up for everything by putting some drinks on the house for us. The rest of the night the service was amazing and the food was spectacular. I got the lobster and the Charley got seafood linguine. I would have taken pictures of everything but my inner fat girl took over and I plowed through everything before thinking of it. We ended up walking around after dinner some more and found this really cool old pharmacy/soda fountain. Obviously Charley fell in love with the signage. We woke up and walked around and found this awesome little bookstore called Beckham's Bookshop. It's run by these two adorable old men that wear suspenders and still use a counting machine and touch the pages of the books ever so gingerly. After that we went to our the "Jazz Brunch" we were so eagerly looking forward to at Court of Two Sisters. Not the case. We spent over $80 on brunch that was mediocre at best and didn't feel so great afterward. 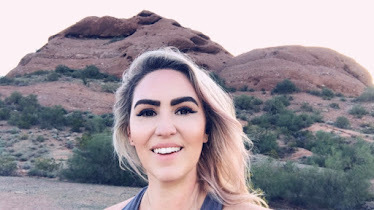 We walked for about 20 minutes before I realized I needed to go lay down where fast forward an hour...FULL BLOWN FOOD POISONING! Shrimp is not your friend. DO NOT GO THERE! I slept it off for the next 24 hours but before we left, we were able to squeeze in a ride on the St. Charles line and go to the Garden District. We used the guides for a lot of the homes however, most major historic homes have a plaque on the outside that talk a little bit about the history and architecture. If you'd like to use our guides, we googled "New Orleans self-guided walking tours" and we found one for both the French Quarter and the Garden District. 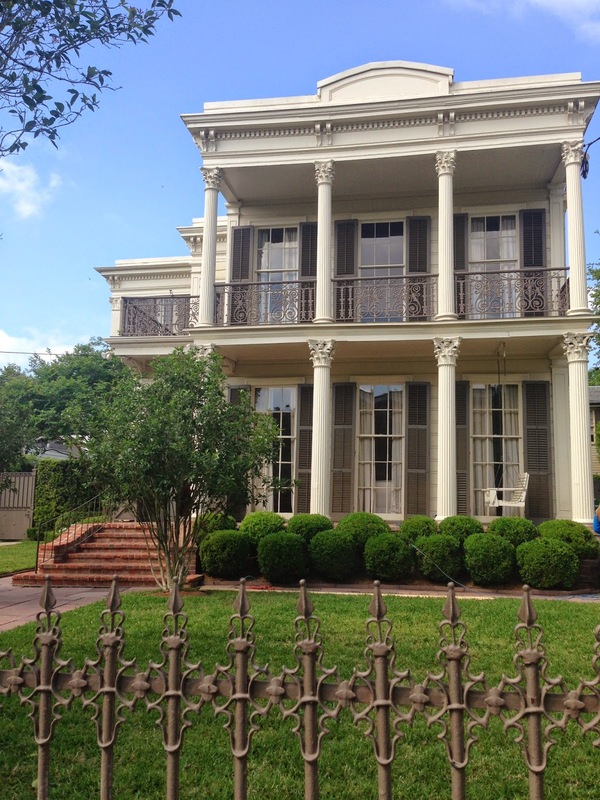 The Garden District is home to not only some amazing historic landmarks, it also boasts Lafayette Cemetery No.1 where the Ashley Judd movie, Double Jeopardy, had a scene filmed. It's one of the most widely used cemeteries for film now that Lafayette Cemetery No. 9 is not allowed to be used. That cemetery was closed for filming after actors knocked the head off of one of the statues on a mausoleum while they were filming Easy Rider there. Cemetery No. 9 is right near the visitors center and is also home to Nicholas Cage's pyramid tomb. Weird, I know. Above is the childhood home of Peyton and Eli Manning in the Garden District. It's only a few minutes walk from one of the best bookstores I've been in in a while, the Garden District Bookshop. It's in a shopping plaza called "The Rink" which at one point actually operated as a skating rink. The easiest way of finding it is Googling your way to Lafayette Cemetery No. 1 or Commander's Palace (if you want to eat there boys, you're going to need a jacket). Keep in mind, parts of Nawlins' are still Old South and they do have a dress code, so pack accordingly if you want to go to a surprising number of restaurants in town. Hope y'all enjoyed my mini tour of New Orleans! Sorry if it's long, I like to not leave out too many facts! If you have any questions please feel free to email me at lifedevoured@gmail.com. I love to hear y'alls thoughts so please leave me some comments below! Y'all be careful coming down this weekend. It's been very wet around here. Did you happen to catch any of the videos on 30A's Facebook page from the rain? We've got 26 counties in a state of emergency. It's nuts! Over 6,000 strikes of lightning recorded. Good thing is we are supposed to get some sun though. Hopefully it will soak up all of the water. Back to the post. I heart New Orleans. That is all. I haven't been since September and I'm having withdrawals. I need to plan a trip soon! I've been craving a sandwich from Cochon Butcher or a lunch from the Flying Burrito.